Dr. Steven Robillard is your Flower Mound chiropractor and owner of Back to Health Chiropractic and DFW Drug Testing. He is a graduate of Los Angeles College of Chiropractic with over 29 years experience in the healing arts. A Bachelor of Science in Ecology, Behaviour and Evolution from the University of California San Diego, Dr. Robillard specializes in utilizing the spinal percussor for pain between the should blades, neck pain and headaches. Dr. Robillard is a “Designated Doctor” and performs independent examinations to injured workers across the state of Texas. Dr. Robillard is a past Associate Professor at Parker College of Chiropractic in the diagnosis department. Dr. Robillard is a Certified Medical Examiner, CME #4694458378 authorized to perform medical certification examinations for commercial drivers and other professionals regulated by the Department of Transportation, DOT. Dr. Robillard is also the owner of DFW Drug Testing located at Back to Health Chiropractic. He is an accredited DOT Specimen Collector and Breath Alcohol Technician. Dr. Robillard is an Applied Clinical Nutritionist using a natural functional approach rather than chasing symptoms. He is results oriented, using ligament/muscle work with his treatments. 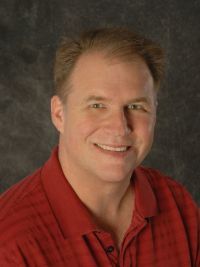 Dr. Charles Collins has over 17 years experience in chiropractic practice. He has lived in the DFW Metroplex for the last 21 years. He received his Doctor of Chiropractic degree from Parker College of Chiropractic. Dr. Collins' treatment focuses on restoration of spinal curvatures, utilising "state of the art" techniques, for long term health and well-being.